Your institutional user account gives you and your trainees complete access to a number of our services, including the ECG Reading Room, ECG Tracker, High-Yield ECGs, and ECG Criteria for Common Abnormalities. ECG Reading Room. The ECG Reading Room is currently comprised of a database of 531 unique electrocardiograms (ECGs) with more tracings being added monthly. We are the largest online resource available for ECG education. Once your trainees complete all of the ECGs in our database, the electrocardiograms will continuously recycle, enabling your trainees to interpret thousands of tracings over years of training. 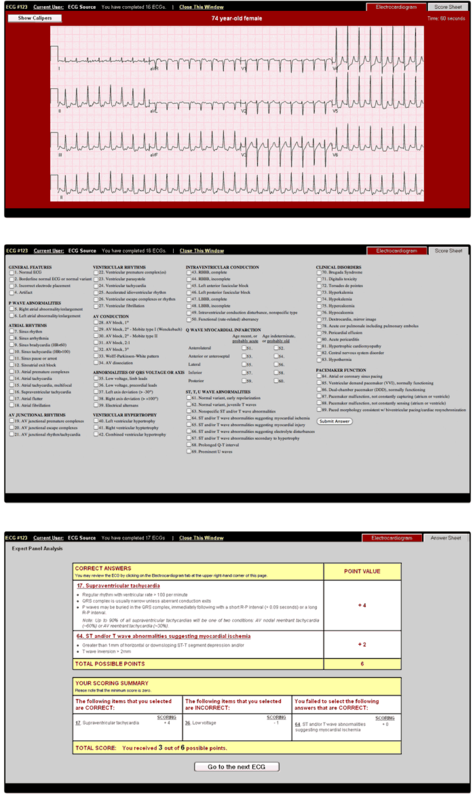 Your trainees will answer each ECG using a scoresheet similar to that used for the American Board of Internal Medicine Cardiovascular Disease exam, making this service invaluable to medicine residents and cardiovascular fellows. After each ECG is coded, immediate feedback is provided from a panel of ECG experts regarding the accuracy of the diagnoses, and a score is awarded to the trainee. 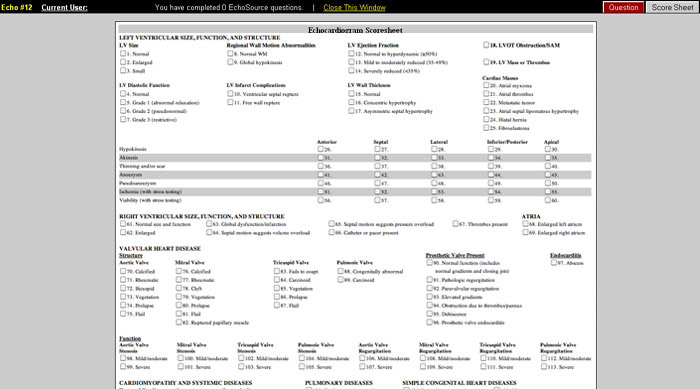 The expert panel also provides additional teaching points specific to the ECG completed. ECG Tracker. Documenting your institution's electrocardiogram training and competency in ECG interpretation for the Accreditation Council for Graduate Medical Education (ACGME) has never been easier. (Currently, the ACGME requires cardiovascular fellows to have formal instruction, clinical experience, and demonstrate competence in the interpretation of a minimum of 3500 electrocardiograms.) 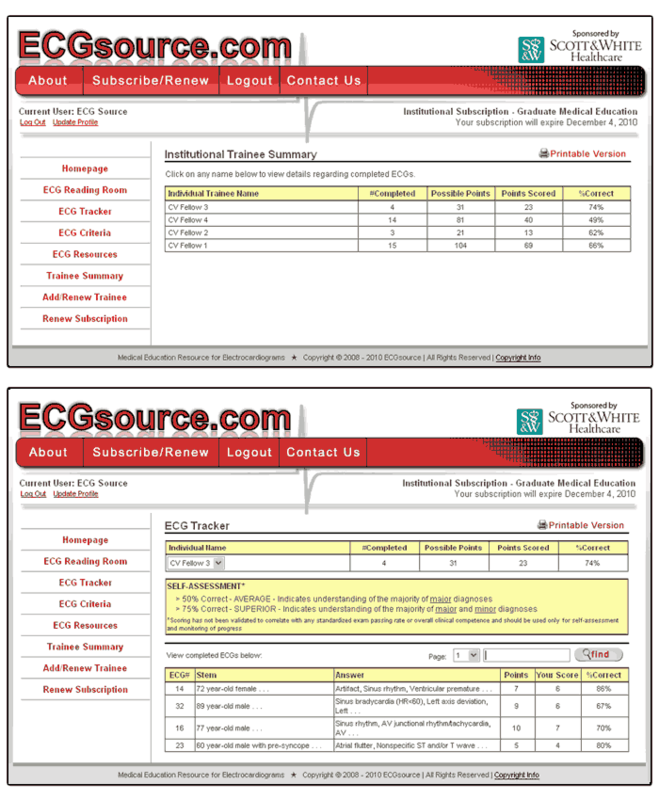 The ECG Tracker enables you to keep a detailed record of your trainees utilization of this service. 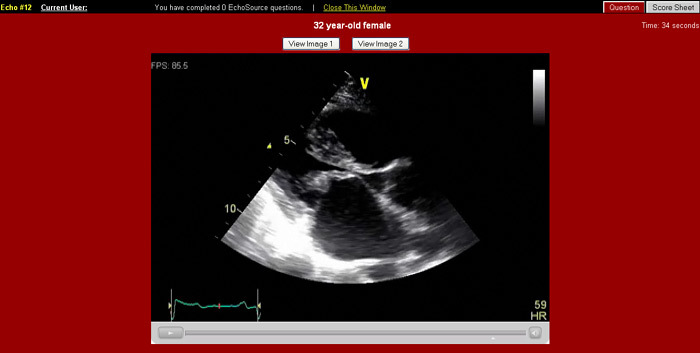 You can track trainee progress in interpretation accuracy, as well as see the types of ECGs that appear to cause the most confusion for your trainees.